Katelyn Beaty, author of A Woman’s Place and former managing editor of Christianity Today, will serve as keynote in this conference exploring the re-imagining of calling, career, and collaboration for the common good. 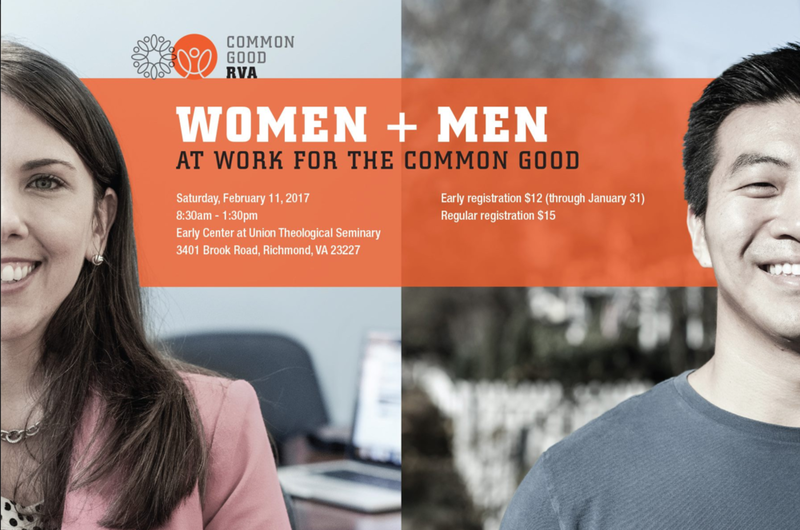 We will also hear from local speakers who will share their experiences as women living, working, and worshiping in Richmond. Our morning will conclude with a panel discussion and Q&A session moderated by Rachel Burgess, Vice President and Director of Research Operations at Southeastern Institute of Research and a member of Common Good RVA’s planning team. For more info and to sign up: commongoodrva.com.